UINCEPT is the starting ground of ideas and leaders that can transform lives and world as we know it. The outset of UINCEPT (formerly UDGAM), in 2015, was based on the sole vision of creating conducive opportunities for new age entrepreneurs on a mission to shake things up and make an impact. And with time, we are constantly reinventing ourselves and growing in all directions to create an all-encompassing ecosystem for future disruptors. We understand the worth of dreams and ideas, that’s why we invest ourselves day in and out to build you the space where your ideas thrive. To create an ecosystem for entrepreneurs that is conducive for ideas to flourish into successful enterprises. CEO, UIncept Global Pvt. Ltd.
Manish is a driven business leader with over 25 years of experience in the education sector. With UINCEPT, he has been channelizing his knowledge and experience in mentoring startups realize their potential. Manish is a fervent supporter of the startup culture, and has himself built many businesses that chronicle his success story. He is also an active early stage investor and has invested in several innovative companies. Divya comes from educational and administrative experience and has had a great run as a professor, at some of the most respected institutions in the country. She has helmed the transformation of the UINCEPT brand, making it what it is today - one of the most sought after business incubators in the country. Karan comes from the background of marketing communications, customer relations and sales. With more than 12 years of experience, he has worked across various sectors like - Hospitality, Real Estate & Travel services in India and abroad. As part of UIncept, he takes care of the Incubation program. Experienced Program Manager with over 12 years as a Corporate Executive, Entrepreneur, and Startup Ecosystem Enabler. He has worked in organisations like One97 Communications, HDFC bank, Real Estate in Affordable Housing segment and also been a founder of F&B venture. As part of UIncept he works in building partnerships, managing & executing programs and also handle the complete business operations. An IIT Delhi alumnus, Manish is a co-founder of LIQVID, funded by Soft Bank & Gray Matters Capital, a successful EdTech firm. He has over 24 years of experience in the eLearning and EdTech industry and currently advises in the areas of entrepreneurship, EdTech, and early-stage investing. Manish also writes for several publications and is involved with judgeships of a couple of the US-based awards. Rahul is an ex Banker and has worked with IDBI Bank and SHGB Bank, with the last profile being Branch Manager, with specialisation in Credit and Trade Finance. He is also a certified associate of Indian Institute of Bankers. 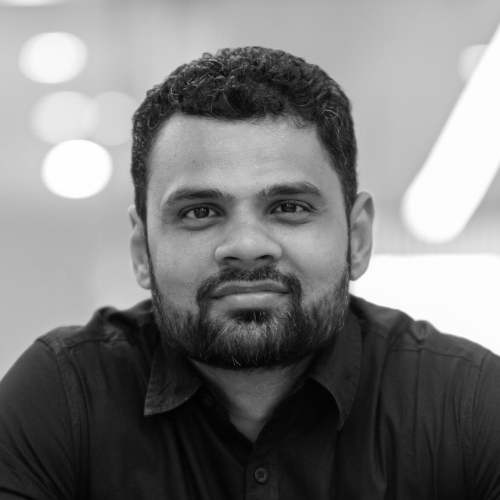 A former assistant professor in Business Analytics and Digital Marketing at a leading private university in India, Rahul has mentored various batches in the domain of Web Scraping, Data Wrangling, and Machine Learning. Karuna is a graduate from Delhi University and has completed technical certifications like CCNA and DevOps. 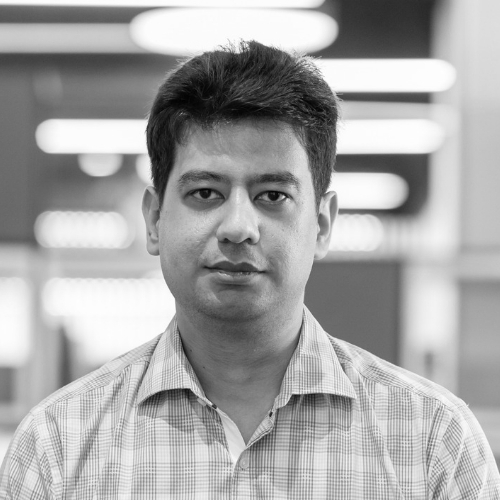 He has more than 6 years of experience as a server & network administrator, with knowledge about routing & switching, Windows-based servers and developer tools like Ansible, Puppet, Docker, Nagios and has a basic understanding of Jenkins CI/CD and Github.